Abbygail Benner sits on her father’s shoulders, Josh Benner, as the Anderson Christmas tree is lit up on Center Street on Sunday evening. This is from an article that originally appeared in the November 30, 2015 print issue of the Record Searchlight newspaper and online. 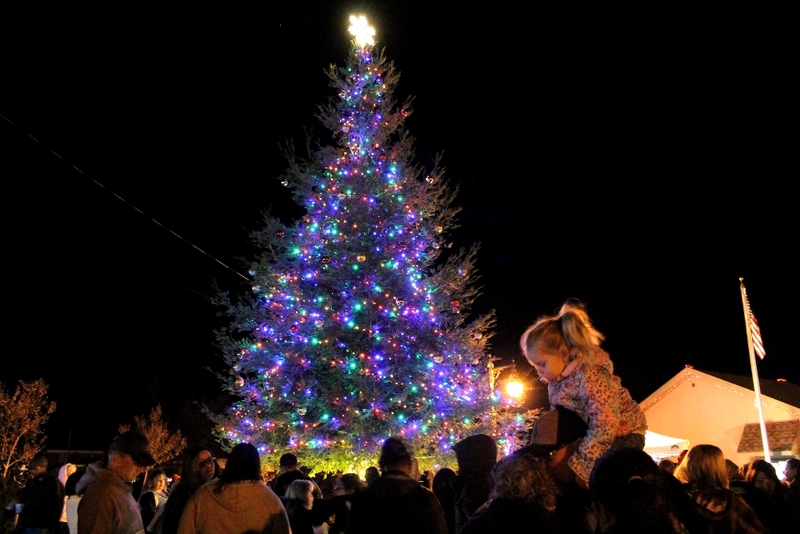 I both photographed the event and wrote the article at the Anderson Christmas tree lighting event. 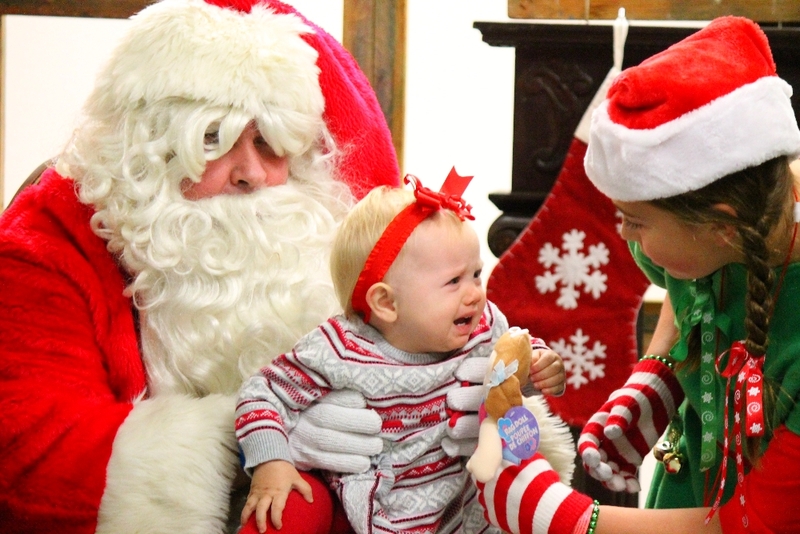 Maisie Baker, center, cries on Santa Claus’ lap, as helper elf Brianna Browning helps her back to her parents during the Anderson Christmas tree lighting and parade on Sunday.